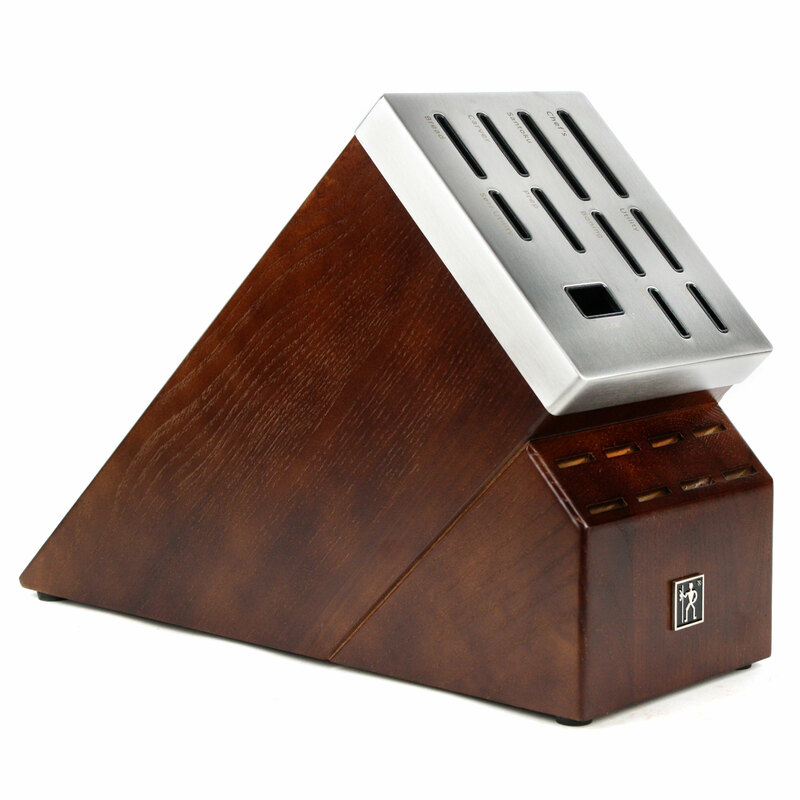 Form meets function in the striking Modernist series. The fully forged bolster construction seamlessly transitions from blade to handle for durability and balance. Fabricated from high-quality German stainless steel, the satin-finished blade produces precision cuts and is honed for long-lasting sharpness. 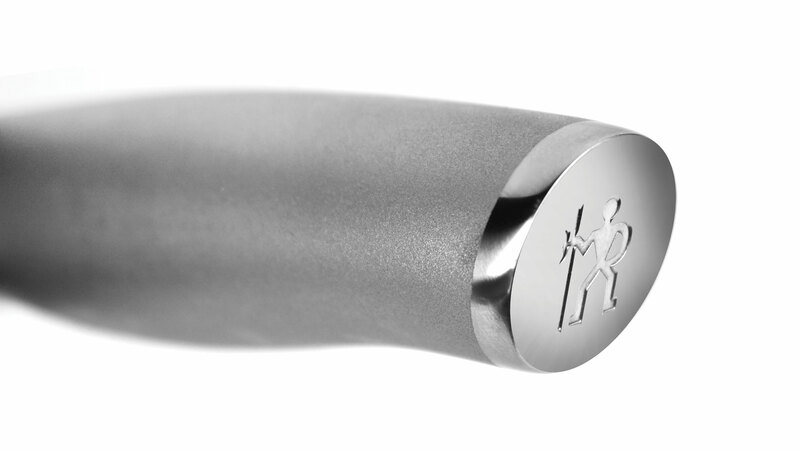 Equally ergonomic and stylish, the hollow stainless steel handle is wonderfully lightweight. Its fingerprint-proof sandblasted texture is easy to grip and is beautifully finished with a polished, logo-embossed end. 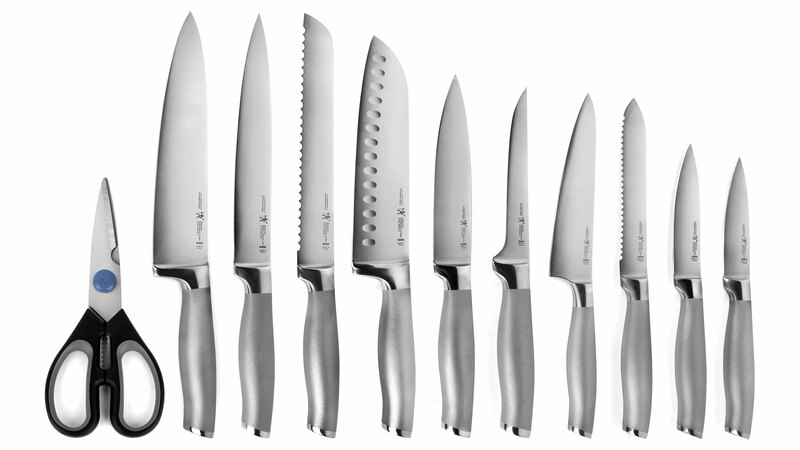 Enjoy effortless cutting and cleanup with these dishwasher-safe knives. 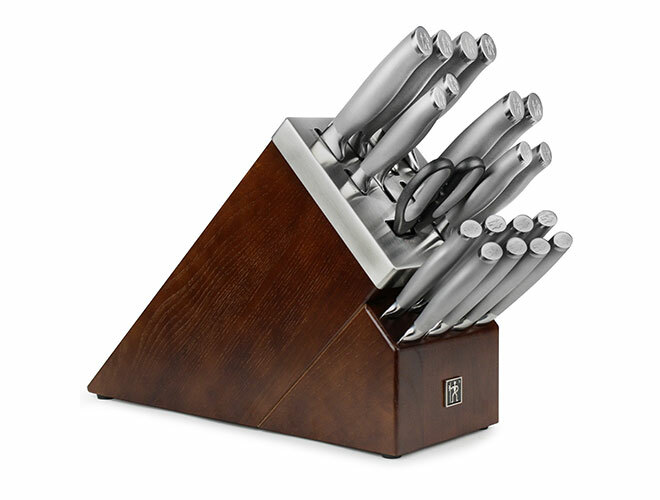 The self-sharpening knife block slots boast built-in ceramic honing wheels that automatically sharpen when knives are stored or removed. 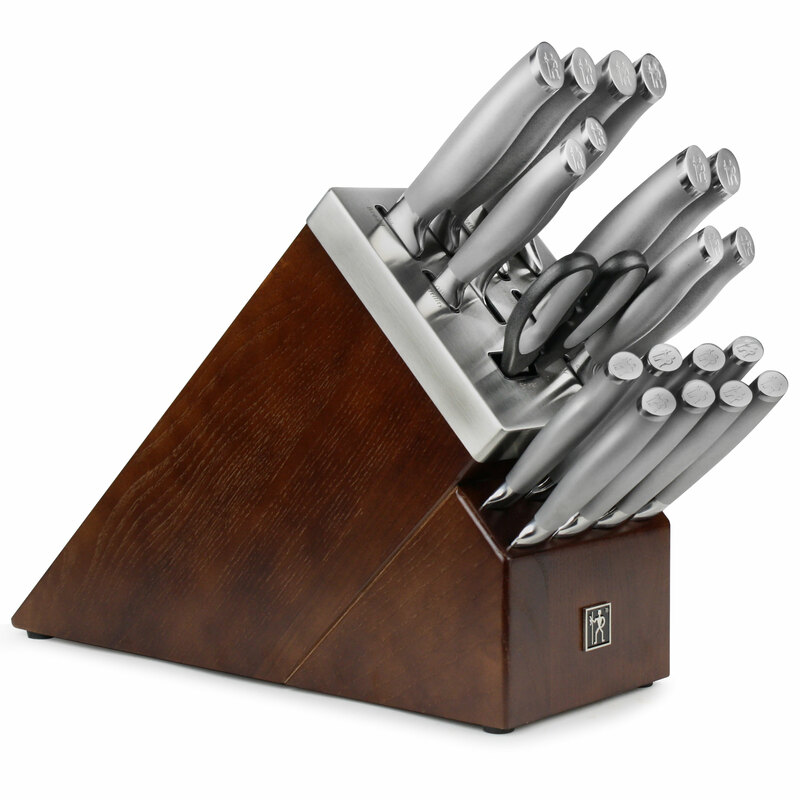 The remaining slots are for serrated knives, whose toothed blades never need sharpening. 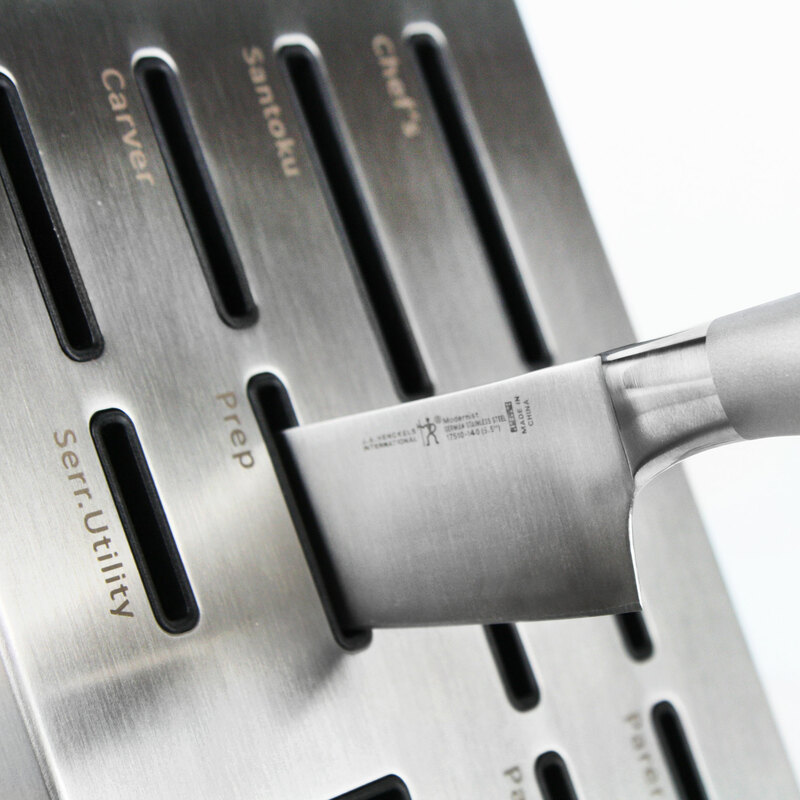 Enjoy effortless sharpness for precise prep work every time. 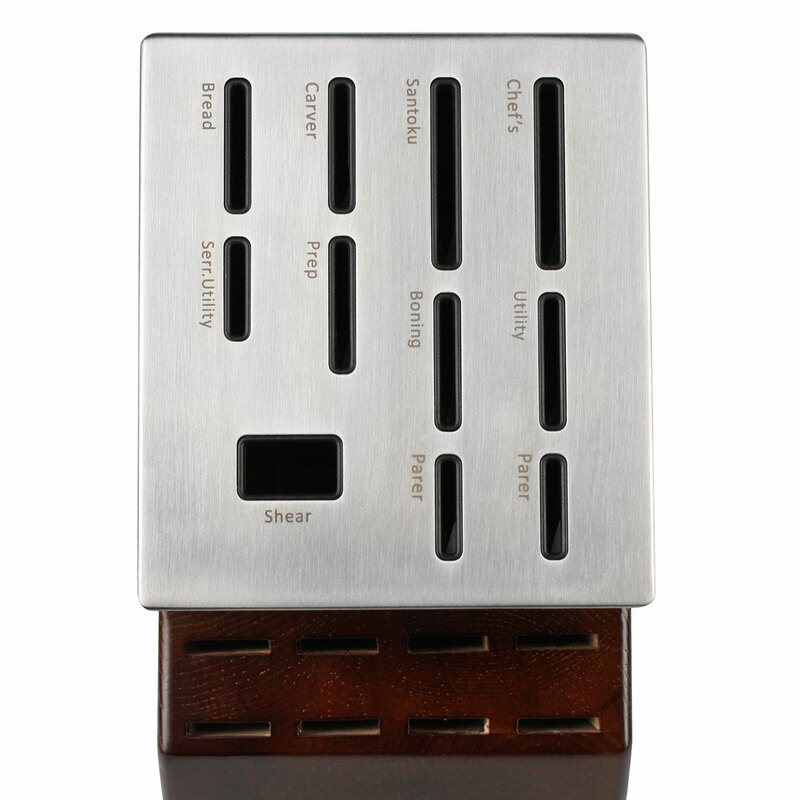 Plus, the handsome stained ash wood base and stainless steel cap add aesthetic appeal to your countertop. 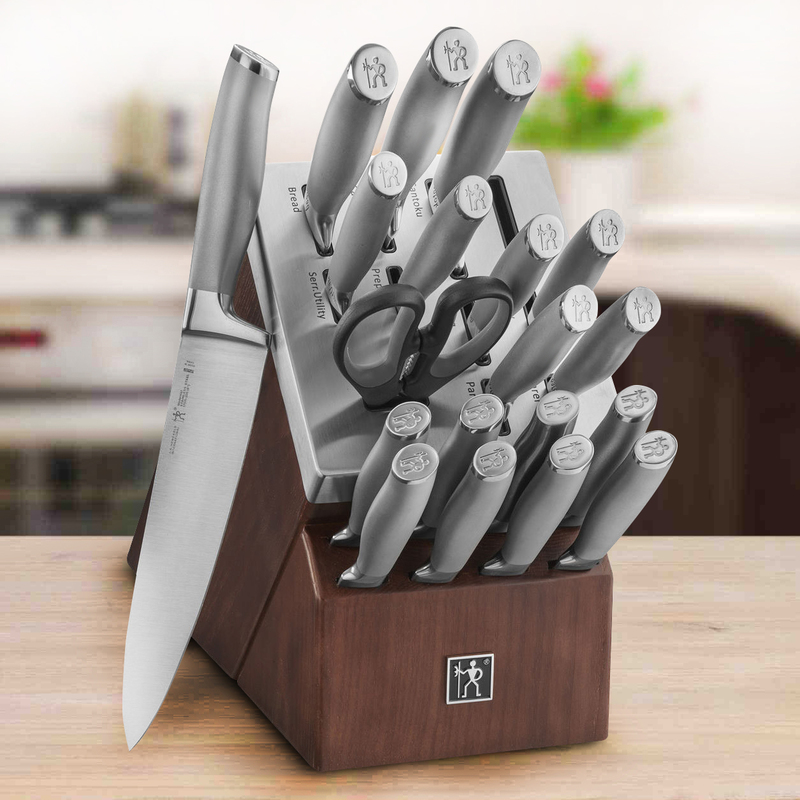 https://www.cutleryandmore.com/henckels-international/modernist-self-sharpening-knife-block-set-p137896 37896 Henckels International 20 Piece Modernist Self Sharpening Knife Set https://cdn.cutleryandmore.com/products/large/37896.jpg 249.9500 USD InStock /Cutlery/Knife Sets Form meets function in the striking Modernist series. The fully forged bolster construction seamlessly transitions from blade to handle for durability and balance. 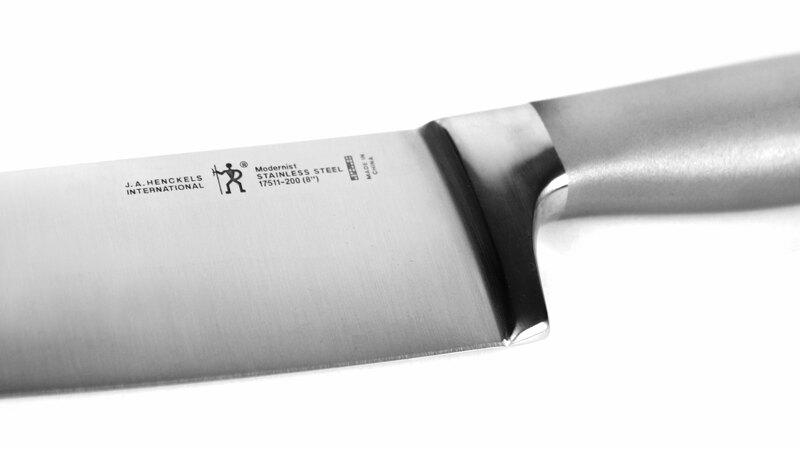 Fabricated from high-quality German stainless steel, the satin-finished blade produces precision cuts and is honed for long-lasting sharpness. 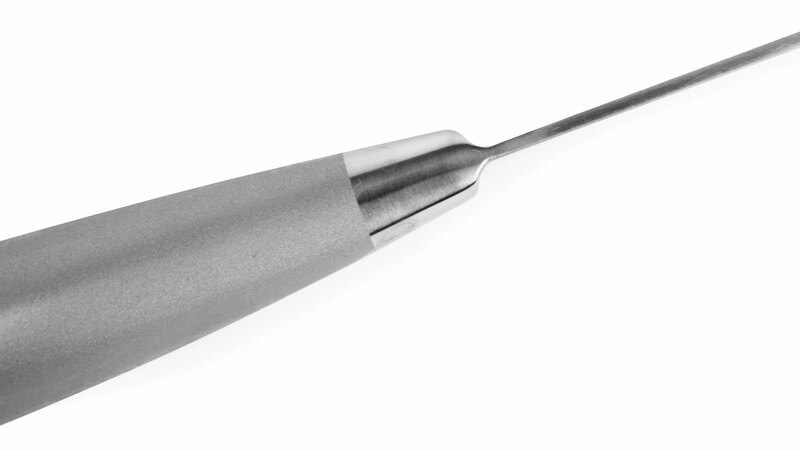 Equally ergonomic and stylish, the hollow stainless steel handle is wonderfully lightweight. Its fingerprint-proof sandblasted texture is easy to grip and is beautifully finished with a polished, logo-embossed end. 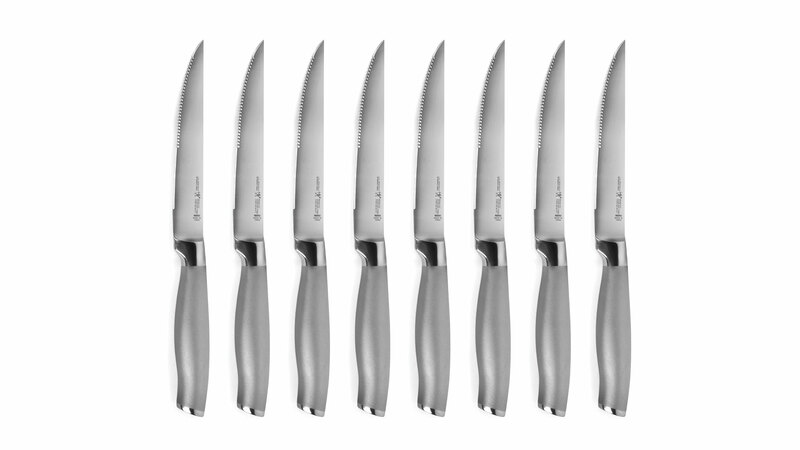 Enjoy effortless cutting and cleanup with these dishwasher-safe knives.